Welcome, all, to this Poetry Friday Round-Up poised on the brink of Poetry Month 2018! Today we are celebrating an annual tradition begun by Irene Latham of Live Your Poem in 2012—the Progressive Poem. If you are new to Poetry Friday, let me explain: the Progressive Poem is a 30-line poem authored step-by-step and line-by-line by 30 different poets over the 30 days of April. It’s live collaboration with suspense, surprise and always an interesting outcome! It’s the seventh year of this project, and my own sixth year of participating, so I thought it would be fun to talk a bit with Irene about her baby, now roughly a 2nd-grader. We’re also including Liz Steinglass in the conversation, since she’s kicking us off on Sunday, April 1 with Line 1 this year—as I did last year. So here’s my interview with Irene and Liz, conducted over the phone and through email on Monday after I woke up on Sunday thinking about hosting. J Also, 2018 Progressive Poem participants, stay tuned for an exciting new twist on the process at the bottom of the post!!! Heidi: So here we are in Year 7, Irene! 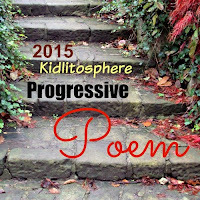 I did a little informal reckoning of Progressive Poem statistics, and over the last 6 years, 63 poets in total have participated. There have been six, including you, who have joined in every single year, and 11 members of the community, including me, who have participated in five out of the six years. Irene: Yes! There’s always been people interested. I always thought, some March is going to come along and I’m going to post the sign-up and nobody’s going to sign up and we’ll let it die a natural death. But that hasn't happened. Heidi: I have NOT been surprised about that—it has always seemed to me to be a thing to look forward to. So how did the whole idea start? Irene: I was new to the Poetry Friday community, and really it was me trying to be more invested in the community. I had been in a critique group briefly and we wrote a renga together. And something I always do when I visit classes is work with them to write a community poem; it’s something I’ve always enjoyed. It sounds really selfish, but it really was just a way to get to know people better, and for all of us to work on something together, to be invested together. So I had community-building in mind, but for a very personal reason: to feel plugged in, because I hadn’t really found my spot in the online blogging world until that point. Heidi: That is really interesting—it’s the flip of what we said a moment ago. The amazing thing, Irene, is not really that everybody keeps coming back year after year; it’s that ANYbody signed up the first year! So do you have a favorite one of the poems? Heidi: I think some people would be open to it--possibly especially people (you know, like me) who want there to be a little more consistency and integrity of form—they’d really dig that! It would require people to pay a little bit more careful attention to what has come before and what could come after, perhaps. But why do you think it works, and is it successful in the same way each year? Irene: In my mind it’s successful because everybody shows up to do it! There’s always some message the poem gives that I like. There’s always been a beginning, a middle and an end, some sort of narrative; it’s got fresh language—it’s got a lot of the things that I’m looking for just as a person who loves poetry. So I definitely think it’s a success and there’s value in it. I don’t know if I have a personal favorite...though I do really love the one with the really long title: "P.T. Barnum's Great Traveling Museum, Menagerie, Caravan and Hippodrome for Writers." I love a hardworking title! Heidi: You began and ended the first year, but since then you’ve participated in a random middle spot in the poem. Why is that, and do you ever have any editorial urges? Irene: Honestly, I always sign up first just according the convenience of my schedule! And actually, no, I don’t feel any ownership. I see myself more as a facilitator. Part of the fun and the challenge is that you have to let go of control: you only have control of one line and you never know what’s going to come next. I love that element of surprise. Heidi: Liz, you answered similarly when I asked what was the most challenging and most fun for you as a contributor in the past. Liz: Yes, as a contributor, and a follower, I enjoy the surprising twists and turns. You can’t guess where the poem is going to go from the first line to the end, or even where it’s going to in the next few lines. When a poem has only one writer, there’s more consistency; I enjoy following the many different drivers who take the poem in different directions. Irene: That’s hard for some people though—there have been a few “disgruntled poets” who didn’t care for what the poet who followed them did with their line! Later, I did begin inviting a particular person to do the first line—somebody I really trust to set the tone. Heidi: I had Line 1 last year—thank you for the compliment--and readers can go see how I approached the task here. This year that Line 1 poet is Elizabeth Steinglass, my neighbor in DC and author of the forthcoming Soccer Nonsense from Boyds Mills Press. Liz, what considerations are uppermost in your mind as you craft our kick-off line? Liz: My goal is to write a first line that is poetic—that uses poetic language and the tools of poetry—and is also open-ended. I want everyone who comes after to feel free to put their spin on things and take the poem in a different direction. I don’t want other writers to feel stuck with a particular image or theme or rhythm. I also wanted to do something a little different than other years. Heidi: Can’t wait to see it, Liz! I looked to see what words kept showing up, and it did not surprise me that there were ELEVEN uses of the word “dream,” because I do think that we largely middle-aged-white-ladies-who-are-teachers are attracted by certain tropes. So the “hearts” and the “hands” and the “breath,” the “dream” and the “dance”—the dancing dreams!—were not so surprising to me, but they’re also the reason that the poems began to sound a little the same, and maybe not necessarily the kind of poem that a 9-year-old boy would really love. Irene: I think you’re absolutely right, and I notice that you show “word” as being the most frequently used word of all! Again, we all kept writing about writing. Heidi: I know there were also a couple of poems with crowd scenes in them, but I was also struck that out of a total 887 words in all six poems, “crowd” came up five times—because of course what this is, is a crowd-sourced poem! And we’re all trying to bring some surprise, but we’re all trying not to go too far into the deep end, because we know it’s a collaboration! Liz, would you agree? Liz: Yes, the flip side of the twists and turns I mentioned, for me as a writer, was feeling like I didn’t want to disappoint my fellow writers. I hoped the other writers would like my addition to our group endeavor and find a way to work with it. Irene: Yeah, I love it when people post their line and they talk about how they arrived at what they did, what the thought process was. I LOVE reading the process, because I think you learn as much from that as from actually reading the poem. As a working poet, I am fascinated and inspired by how the other poets interpret and engage with what they’ve been given and where you’re going to go with it—those posts are fascinating to me. People may come with some idea of where they would like to take it, but also an understanding that it may not go there at all. Heidi: I always enjoy those posts as well, and what you learn is that, while we know on a surface level that everybody interprets poems differently, and despite the fact that we are demographically very similar—teacher and former teachers and writers and white women “of a certain age”—it becomes apparent, when you read people’s blog posts, how differently they’re interpreting what they’re adding to, how different our personal and individual interpretations are. Liz: And I think this exercise can be a reminder to let go, relinquish control, and see where things go. It’s tempting when writing to have a vision and then write a poem that completes that vision. When we let go of the need to follow a plan, writing can be a process of discovery. We can discover new concerns, new ideas, new metaphors. Heidi: So we’ve talked a lot about what this exercise offers the participants, but---say we had an audience of young people who were actually reading this poem as it went along! In that way it would be similar to what’s happening over at the March Madness Poetry tournament where kids are voting. What could kids gain from watching THIS game? Irene: It reminds me of something I used to do in a classroom. On the first day I’d write the first line of a poem; on the 2nd day I’d write the 2nd line of the poem, and so on. It gives readers a chance to be involved, to really engage, to think about THE line, the lines as parts, and not see the poem developed as a whole—that’s something it offers the audience. You’re watching it unfold, not being complete—and again, one of my favorite things about being a reader is being surprised. What we want readers to do is pay close attention, and this gives you that opportunity, when you only get part of the poem each day. You’re slowing down, you’re really looking at language, noticing what the writer did—you can really piece it out a little more and see it as less intimidating and as fun—that’s the main thing, it’s fun! This makes me wonder how we could get an audience for our poem—I’ve never put any effort toward that. It’s really just been by us, for us. Irene: I will tell you that some people take it very seriously, talk about how they couldn’t sleep the night before their line, and I think people really want to bring their best and that they really love the positive feedback. That’s a good thing in our community, being encouragers and cheerleaders of each other’s efforts, and you know you’re going to get that, but you also want to be the person who brings some really cool word to the poem, turns it in a new direction, but that’s why we’re here: to encourage each other! That’s why people invest in it, because they want that—being pushed by the community to bring their best to it. And to help with that for 2018, HERE COMES THE TWIST, the fun new challenge! Participants, read on, and to Irene and Liz--thanks so much for this fascinating, surprising, encouraging conversation! 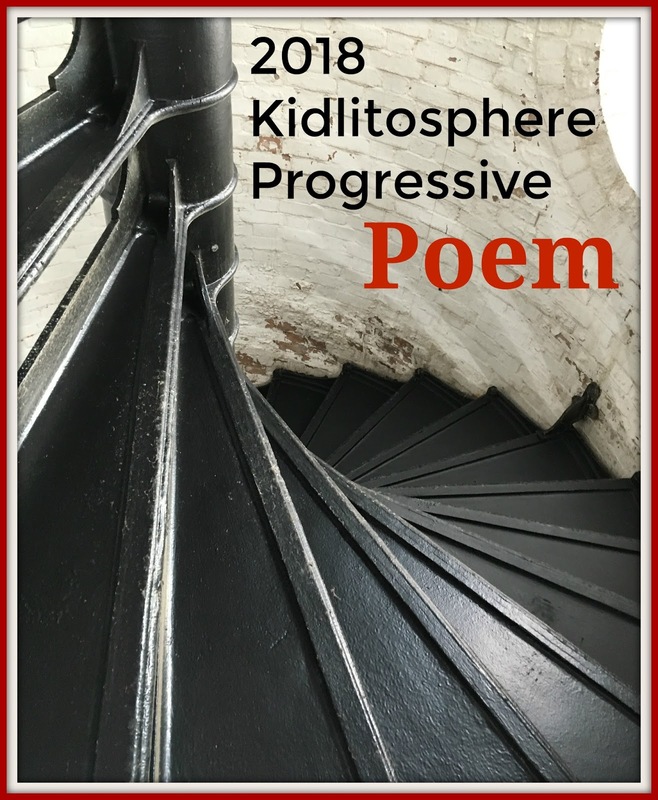 New for Progressive Poem 2018: Participants, when Liz posts her Line 1 on Sunday, April 1, please take a minute to record your first impressions of how the line strikes your imagination and what you think the poem might become. A few lines should do it, and that's Step One. Liz, Irene and I think this will bring a little extra richness to the process, and while there won't be much for our Line 2 poet Jane to reconsider, by Day 3 when Laura adds her line, just about everything could already be different than she imagined! By Day 14 when I take my turn, there will be lots of surprises to contend with, and by Days 24-30 who knows where we'll be! We hope you like this little twist and will want to take the extra moment on April 1st to jot down your impressions. And now, without further navel-gazing: the Round-Up! Please use the button below to add your link starting at 8pm , and I look forward to getting around to everyone's post by Sunday. Happy springtime holidays to all! Thanks for this intriguing way to step into the "Progressive Poem," Heidi! I enjoyed hearing about the previous years and hearing from Irene and Liz. It'll be interesting to see where this new twist will take the poem overall. Lots of food for thought in here for directions to take for this coming year, thanks to all! And thanks Heidi for hosting this weeks Poetry Friday Roundup! Oh I love you all.....and you writing. The twist is genius—nice touch. I will always be a cheerleader for PF friends. That was such an interesting read. So much resonated - or enlightened. Thanks for sharing, ladies. Looking forward to being part of the process again - and seeing (pondering) your first line, Liz. I got you set up, Kat--thanks for coming by! I love learning about the back story of the Progressive Poem but I hate that I totally missed the sign up. How did I let this happen? I guess I'll just sit back and enjoy the journey as an observer this year. What a great idea to interview Irene and Liz! I love behind the scenes stuff. I am proud to say that this will be my SEVENTH year with the progressive poem, and that in four of those years, including 2018, my turn fell/falls on my birthday. It's become a private tradition that I've tried to keep going (if I can sign up in time, that is!). 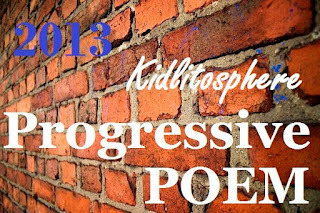 The progressive poem has also become a nostalgic thing for me since, like Irene, I was brand new to the poetry world in 2012, and Irene was one of the first people I "met" through blogging. Thanks for this post, and thanks to Irene for keeping us all together through the years! Oh, and I love the new twist for this year! Thanks for hosting this week. 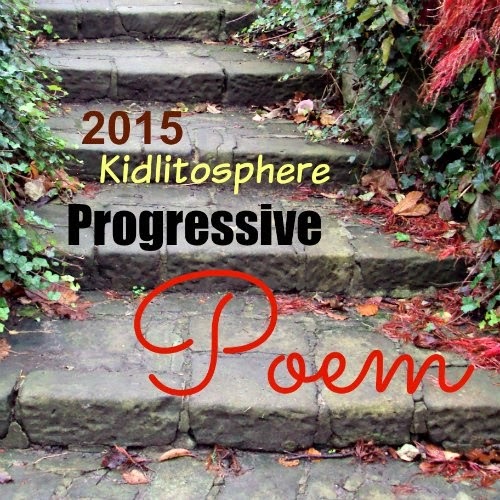 I look forward to reading the progressive poem as it takes shape. A wonderful interview/conversation here, Heidi - my thanks to you, Irene, Liz, and everyone who takes part. It really is a fun event I look forward to each year! And as others have said, I think your 'twist' is a great idea. 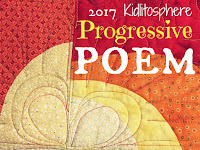 Thanks for the interesting Progressive Poem interview and thanks for hosting this week! What I REALLY want is to be sitting and chatting with you three, about the Progressive Poem or ANY kind of poem...! :0) I think I've been in on each one since the beginning. It's an honor and fun and always a surprise! Thanks for sharing all these thoughts and history, and that new twist should be - challenging! HAPPY (almost) POETRY MONTH! Oh to have tea and conversation with you all. I love the idea of predicting where the poem will go. Thanks for organizing the Progressive Poem. What a great post! I loved eavesdropping on your rich conversation about the Progressive Poem. I'm so excited to see where it goes this year and to gain some insight into the process. What a great twist! Thanks for hosting this week, Heidi. I'm looking forward to the Progressive Poem even more than before! Heidi's stats about the PPs are cool. I wonder how many times I've done it? What a fun idea! It ALMOST makes me wish I was further down in the lineup so I could be even more surprised by how much the poem changed from my expectations based on Day 1. I hate that people get anxious about their line when this is just for fun! Though the year (was it just last year?) that I went last, I was a bit nervous myself about finding a way to bring things to a satisfying close. Especially since I was having technical difficulties and couldn't find the next-to-last day's line, even though it was apparently there all along! Hehe. But still, we're just a group of word lovers playing with words (and apparently using the word "word" a whole lot). So much stuff to love in this interview--thanks, everyone! Appreciations for this trip into six poem-making years. I didn't know so much of this event-without-a-scaffold- history. One day, maybe we, or some of we, can read one Progressive Poem (or more) to an audience. It should come off of the screen & be heard. Or maybe some teacher who follows it, & likes it, will have her/their students, or a student, perform/present one of the poems, of the students' choice. (Thinking middle grade or YA age students,...) More thrilled than ever to be part of this party (call me Day 5 writer.) And a round of cheers for the soccer book, Liz! Will be a joy to order & sock it to my soccer-crazed niece & nephew in Rhode Island. And back to our P.P. I am more eager than ever for the departure point of this year's trip. Irene, appreciations for your creation of 2012. I look forward to following the links, later. Off to my day. Thanks for hosting today! I loved learning more about the beginnings and history of the Progressive Poem. I have enjoyed watching it unfold the past few years, and can't wait to see what happens this year. I, too, love reading the process posts. I learn so much from them. Thank you for hosting today, Heidi! And thank you to Irene & Liz for joining you for this terrific interview! I loved reading about the origins of the Progressive Poem and can't wait to see what Liz offers up for the first line. The added twist is a great idea! And it was a poem for us, not for young kids and I liked that we were showing a different side of ourselves. Though I have enjoyed the other more kid-oriented offerings, too. I participate, thanks to wonderful Irene who let me "write" from her blog beginning in 2013. So this will be my 5th time being a part of this dynamic, lively and enriching experience. I think it is fun but it is the kind that makes me think and work hard. I like the new idea for the Twist this year. It's always interesting to me to see where the next line takes us. I looked back to find that I have been a dreamer or even a dreaming dancer! Though I had some tattered maps and skipping, dipping and diving, too. I personally love the entire concept, feel the final poem is the best offering we can achieve given the parameters and time. I look forward to seeing this poem come to life again this year. I really love this poetry community and while I am not as active as I would like, my heart is always pulling me here even if only for a peek. I am inspired by the creativity and hard work of the writers/poets I meet both online and in person. It brings me joy. I am honored to be part of this experience. Great post, Heidi. And Irene and Liz! Let the feasting being. And thank you. 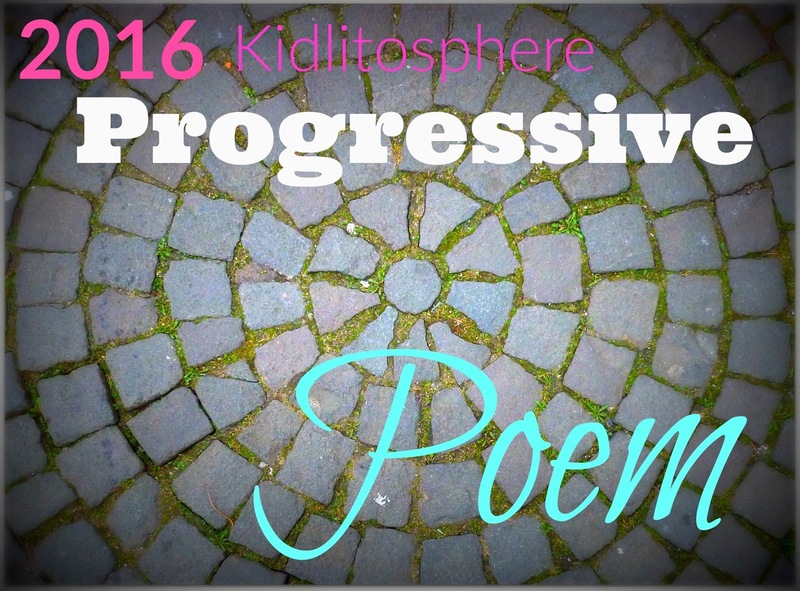 Thanks for this overview of the Progressive Poem, ladies! I missed reading the roundup last week because of the blur of bronchitis, packing, and driving to CO for a quick Spring Break visit. This week we are on the road back to OH, so no PF post for me. 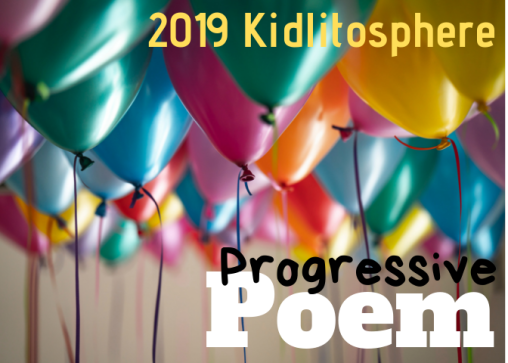 I'll be hitting the ground running for Poetry Month and I look forward to catching up with all the 2018 projects, including the Progressive Poem! 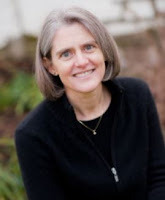 Heidi, now that I am more relaxed and in the car to Syracuse to meet up with my little grandbaby and family, I had time to read through your totally engaging blog post. I loved the format of the three-way conversation and the amount of reflection that went into it. I am one of those progressive poem writers who has conversations with self about the direction the poem is taking as I approach my one line. Since I am a word weaver, the preciseness of the message is important to me. When I turn over my line to my follow-up poet, I am always intrigued by the result. In 2016, I had the privilege of passing on the poem to Liz who did a marvelous job. Thank you, Heidi, for your in-depth interview with Irene and Liz and now I wait for the magic to begin. 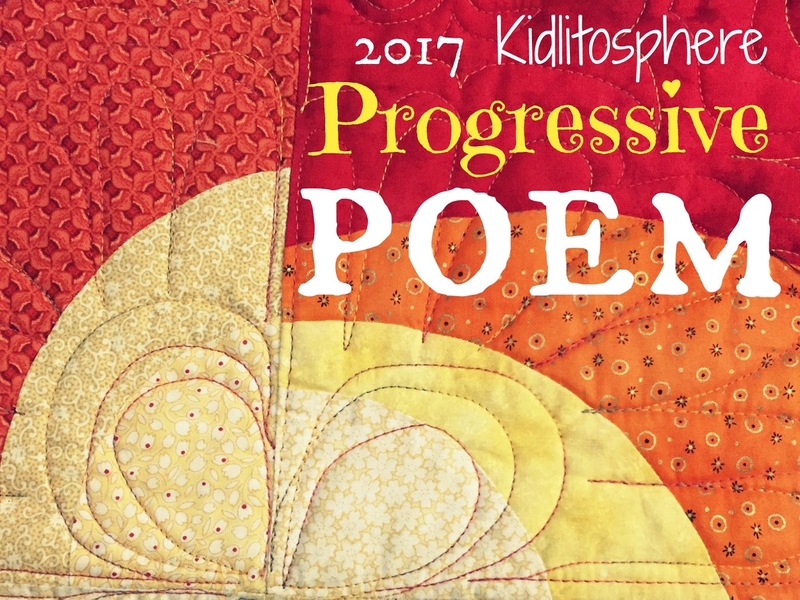 I *love* the Progressive Poem idea -- can't wait to read it this year. Thanks for the insights into the process! I'm looking forward to reading more! Thank you for this post - I so enjoyed reading it! Some day it would be fun to have a conversation in person with all of our participants. Super post, Heidi. Love knowing the backstory about the Progressive Poem from Irene and it was fun to hear Liz' thoughts before she launches. I am excited to participate for the first time! Here we go! 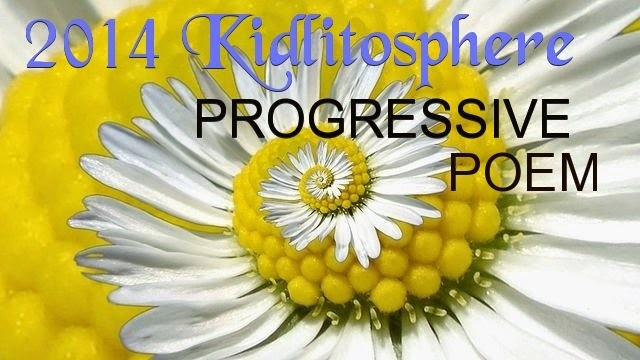 Thanks for sharing the story of the progressive poem. I'm looking forward to watching it grow --- and discovering all of the other amazing poetry that will find us in April. I'm still in my first year of this Poetry Friday wonderfulness, so this will be my first time getting to read the progressive poem! I'm so excited to see what's in store. Thanks so much, Heidi, for hosting today. And thank you to Liz and Irene for your contributions to the interview! Thanks, Heidi! I love the twist you've added this year. I can't wait to see what everyone says. 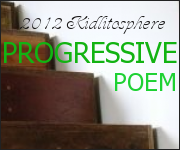 Thank you for this detailed explanation of the progressive poem history and process! I am super excited to be a part of this creative project this year! Thank you for sharing the helpful tips in your post this week, Heidi! I love reading the Progressive Poem every year and seeing how each voice adds to the whole. The only time I was ever irked was when I was a participant and about halfway through the poem someone wrote a line that had absolutely noting to do with the preceding line(s). Just way out there. It seemed disrespectful to me, like not being a team player. But then I had to tell myself hey, this is just for fun. And follow the poem wherever it went. I look forward to seeing how this year's poem progresses! Oops. "nothing" in third line.